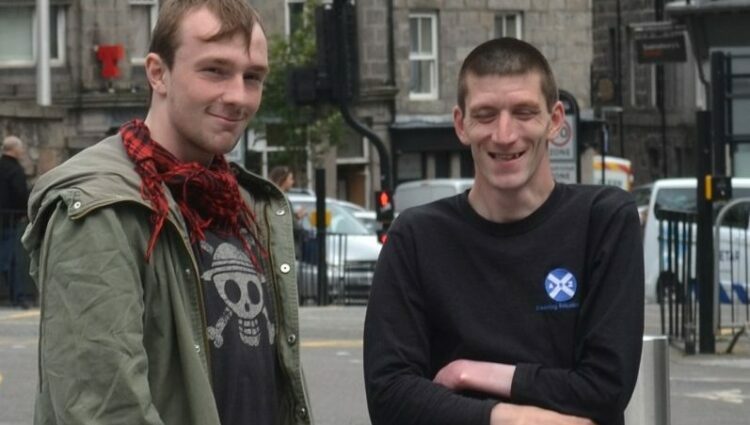 Klae and Scott are former pupils of Camphill School Aberdeen; Klae left in 2014 and Scott in 2013. Both Klae and Scott arrived at Camphill School Aberdeen having found other schooling difficult, isolating and frustrating. They both thank Camphill for helping them to reflect on their own situations, control their behaviour, and become the people they are today. Scott says “when I arrived at the school, that’s when it clicked, I’m not a bad person and I’ve not got it so bad,” while for Klae the comfortable, chilled atmosphere in the school encouraged him to open up about his own feelings. Both young men are now confident and very capable individuals, and it is hard to imagine them as the children they describe. Since leaving school, Scott and Klae have taken different paths, Scott through a variety of jobs to now running his own cleaning firm, and Klae attending college with the aim of pursuing a career in social care. Klae’s tailored package of support was put together to help him transition gradually out of the school, a process which was carefully managed over a number of years. Both young men have maintained connections with the school since they left, Klae volunteering from time to time in Amber Kindergarten and Scott having cleaning contracts there, but both are clear that their relationships with the school and the people who live there have always been much more than a contractual relationship. They are both confident that they could return at any time to visit or to ask for informal advice, as they know that the people who supported them there cared about them as individuals, and that that doesn’t stop when they leave school. The way I was headed, without them I’d either be dead or in prison, I know that. I can’t even imagine how life would have been without Camphill. Everything changed when I went there, my knowledge and myself. 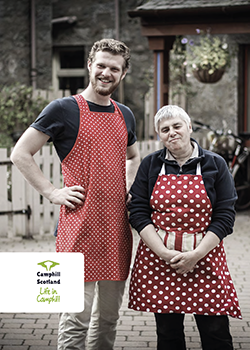 Both Klae and Scott feel that Camphill School Aberdeen helped them to achieve their goals, and are very grateful for that life-changing support.